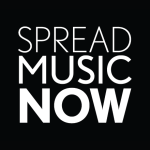 PROJECT MUSIC IS HONORED TO RECOGNIZE OUR PARTNERS. WITH THEIR ASSISTANCE, WE ARE ABLE TO PROVIDE OVER 100 STUDENTS TUITION-FREE OPPORTUNITIES. he Stamford Rotary Trust Fund was established in 1961 by The Board of Directors of the Rotary Club of Stamford for exclusively educational, charitable, scientific and literary purposes. 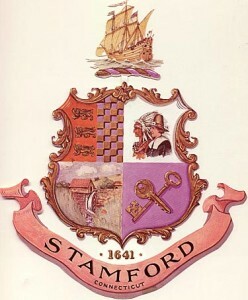 Board of trustees is comprised of the past 5 presidents of the Stamford Rotary Club that are available to serve. Communities served by the Trust Fund include Stamford, Greenwich, Darien and New Canaan. The Rotary Club of Stamford is an organization of local neighbors, friends and community leaders dedicated to creating positive, lasting change in our communities. Adhering to the Rotary International motto “Service Above Self” the Rotary Club of Stamford strives to be an active participant in improving the health, welfare and well-being of people in our communities and around the world. Founded by former Connecticut State Representative Christel Truglia in 1996, the Thumbelina Fund is a donor-advised fund of the Fairfield County Community Foundation that aims to meet the special needs of Stamford’s children. Whether it heled to purchase a prom dress for an underprivileged girl, build a playground at a local public housing complex or send promising students to a leadership conference, the Truglia Thumbelina Fund has added much-needed wonder, adventure, and joy to countless childhoods throughout Stamford. Pitney Bowes is a global technology company most known for its postage meters and other mailing equipment and services, and with recent expansions, into global e-commerce, software, and other technologies. The company was founded by Arthur Pitney, who invented the first commercially available postage meter, and Walter Bowes as the Pitney Bowes Postage Meter Company on April 23, 1920. Pitney Bowes provides customer engagement, customer information management, global e-commerce, location intelligence, and mailing and shipping services to approximately 1 million customers in about 100 countries around the world in 2016. The company is a certified “work-share partner” of the United States Postal Service, and helps the agency sort and process 15 billion pieces of mail annually. ESUSA’s diverse membership across the United States represents programs that serve some of the most vulnerable communities and children throughout the country. We aim to provide connections to knowledge and innovation, advocacy, and leadership development for program directors, teaching artists, students, and volunteers. Members collaborate to share resources, values, aspirations, and advocacy efforts. ESUSA serves three major purposes: strengthening existing nucléos through capacity development and research, encouraging the formation of new nucléos through providing resources, connections and training, and building awareness of El Sistema at large throughout the United States. PROJECT MUSIC THANKS ALL OF OUR PARTNERS FOR THEIR CONTINUED SUPPORT AND BELIEF IN ACCESS FOR ALL STUDENTS.